Snipes at sitting Australian Prime Ministers whenever they set foot outside the country are an unfortunate hangover of a by-gone colonial era. Australia does not sit at the top seats of global fora by chance. We deserve to be there by virtue of the fact we are a Top 20 nation. As Malcolm Turnbull marks his international debut this month as Prime Minister of Australia, visiting an exhaustive number of global capitals, from Jakarta to Paris, I can already hear the criticisms that will be levelled his way. The same commentators that relished nicknaming Kevin Rudd 'Kevin 747', will not hold back. 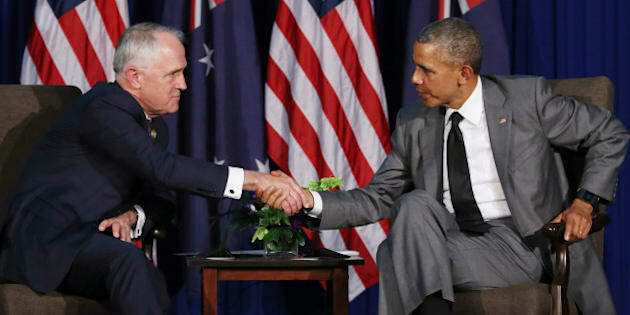 Like most of his predecessors, Turnbull will face criticism for spending his precious time globetrotting and appearing in staged photo ops with the likes of Angela Merkel, Barack Obama, Xi Jinping and Shinzō Abe. Rather than swanning around the world talking about other people's' problems, it will be argued, there is enough for the Prime Minister to worry about at home. The notion that such trips are not the best use of our Prime Minister's time says a lot about how some of us view Australia's place in the world. We do not see global gatherings, including the East Asia Summit, APEC, the G20, CHOGM and COP21 Climate talks, as priorities. Not necessarily because they are not important in and of themselves, but because we seem to doubt the value Australian participation will bring and whether our contribution will actually matter in making a difference. Giving a voice to these sentiments, Tony Abbott once declared that, "we should not be getting ideas above our station." Such sentiments belong in the past. As hard as it is for some of us to believe, 21st century Australia does in fact matter in the world. Yes, we're not a great power but we're not a small country either. As Julie Bishop has been at pains to stress in her tenure as Foreign Minister, on any measure (with the exception of population size) Australia is a Top 20 Nation, and in some cases even amongst the top 10. Long gone are the days when Australia's voice carried little influence, the days when Australia's diplomatic footprint consisted solely of its ambassador to the 'Mother Country.' Indeed, these days Australian Foreign and Defence Ministers participate on an equal level with their British counterparts in the annual Australia-UK Ministerial meeting, AUKMIN. Because Australia matters in the world, and despite what critics say, when we put our hearts to it we find that we actually are capable of using our influence in global forums to make valuable contributions towards security, prosperity, global health and sustainable development. Four years ago, Australia hosted the Commonwealth Heads of Government Meeting (CHOGM) in Perth. Under then-Prime Minister Gillard, and with bipartisan support from the then-Opposition, Australia brought world leaders together to recommit to eradicate polio by the end of the decade. Paying tribute to the Australian Rotarian, Clem Renouf, who helped found the Global Polio Eradication Initiative, Australia secured substantial commitments from countries marking, in the words of the World Health Organisation, a major "turning point" in the fight against the disease. Since then the number of countries where polio is endemic has been reduced from four to two. Turnbull now has an opportunity to consolidate this progress while in Malta for this year's CHOGM, where polio will once again feature prominently on the summit's agenda. Similarly, at last year's East Asia Summit, former Prime Minister Tony Abbott, in partnership with his Vietnamese counterpart Nguyen Tan Dung, succeeded in getting Asia Pacific leaders to agree to the goal of eradicating malaria throughout the region by 2030 -- a goal that was rightly praised by global luminaries such as Bill Gates at the time. At this year's East Asia Summit in Kuala Lumpur, Turnbull built on last year's leadership by getting regional endorsement of a concrete roadmap on how to reach the goal of a malaria free Asia-Pacific. Critics, even those that concede that Australia's influence does carry some weight, will ask what tackling diseases such as polio and malaria has to do with Australia. But as one of the most interconnected nations in the world, investing in global health efforts helps keep Australians safe, since diseases generally do not care about lines drawn on world maps..
Only a couple of generations ago polio caused mass dread in Australia as a killer and crippler of children. But through vaccines we wiped it out nationally. Then, with our aid dollars, we eradicated polio throughout the Asia-Pacific with inexpensive 13-cent vaccines. Not supporting its complete eradication now would only expose us to future harm, and may allow the virus to spread and mutate. Likewise, supporting life-saving health interventions contributes to the long-term health of children. And when children are healthy they grow up to become productive participants in their country's economy and potential consumers of Australian goods and services. This is critical for a country with a relatively small population such as Australia, which largely depends on export-led growth to drive employment (according to the Department of Foreign Affairs and Trade, 1 in 5 jobs in Australia depends on international trade). Snipes at sitting Australian Prime Ministers whenever they set foot outside the country are an unfortunate hangover of a by-gone colonial era. Australia does not sit at the top seats of global fora by chance. We deserve to be there by virtue of the fact we are a Top 20 nation. We owe it to ourselves, and our national pride, to start acting the part. In doing so, not only will we serve Australia's interests better but we just may make a difference to the global public good.